As things stand Britain is the ‘fat man of Europe’. Obesity levels in the UK have more than trebled in the last 30 years and, on current estimates, more than half the population could be obese by 2050. 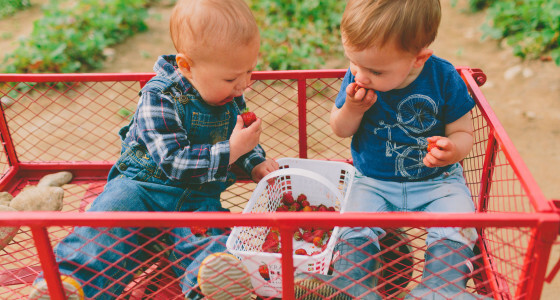 Obesity in later life is thought to be strongly shaped by habits picked up in childhood, so it’s important to get your kids eating well from an early age. That said, it can feel a little daunting - especially financially - so how can you keep them eating healthily without busting the family budget? Meat is often the priciest purchase of a supermarket shop, so consider cutting down and exploring some veggie alternatives. Stir-fries offer a cost-effective and nutritious meal that’s full of flavour, as do Italian dishes like pesto pasta and vegan pizza. Not only will going a little greener contribute to your kids five-a-day, it’ll also likely save you money - one study suggests almost as much as £600 a year. Planning family meals properly will give you an indication of exactly what you have to buy, so you’ll be less likely to shell out on food when you don’t necessarily need it. There’s plenty of sites out there filled with healthy meal ideas, and masses of handy apps specifically designed to help you plan your meals. Making packed lunch for your kids puts you back in control of their diet during the day, plus it can also work out cheaper. Only last year school dinners saw an increase in price - at eight times the rate of inflation apparently - so by sending them off to school with a packed lunch, you could keep more money in your pocket. There’s actually quite a lot that can grow yourself, plus gardening is a great activity to do with the kids. For a very reasonable price - typically £50 to £100 a year - you can rent an allotment locally, although depending on demand you may face a waiting list. It’s hard work, but growing some of your own food can bring big financial and physical benefits. Contrary to popular opinion, studies suggest that farmers markets are actually cheaper than supermarkets. Most food in farmers markets is minimally produced and much fresher than what you’ll find down the aisles, plus it makes for a more pleasurable shop than a morning spent at a fluorescently-lit chain store. Clever couponing can slash your shopping costs significantly. Money Saving Expert’s Jordon Cox claims to have spent as little as 4p for £600 worth of groceries, and while savings like that tend to take a lot of trawling it’s easy to find decent deals out there. Cox points to websites, newsletters and in-store magazines as excellent sources of offers. Although it might seem tricky at first, taking steps like these can make healthy eating that little bit more affordable. Have we missed out on any obvious tips? Let us know in the comments section below.